Here are reported decisions and opinions for just a few of the many successful injury compensation cases our maritime attorneys have tried. With local Massachusetts law offices in Boston and the port city of New Bedford, our maritime injury lawyers are uniquely positioned to assist fishermen, seamen and other maritime workers seriously injured offshore, on fishing vessels or the docks. From east coast to international waters, we can and have secured significant injury compensation settlements and verdicts for crew member injury cases wherever they occur. For more than 50 years, our nationwide maritime law firm has acted as a leader in maritime law injury cases. We help those hurt in ship accidents at sea and our clients can depend on for results. Contact our maritime injury lawyers if you would like to learn more about your legal rights under maritime laws after an maritime injury. 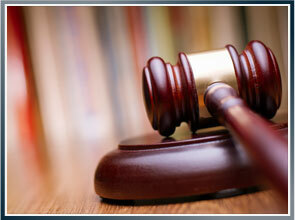 There is no obligation to move forward with filing legal action during your free attorney consultation. What you can gain is free legal advice from maritime injury lawyers who have likely handled a maritime accident case similar to yours. We have the experience and resources to gain the injury compensation passengers, maritime workers and their families deserve.